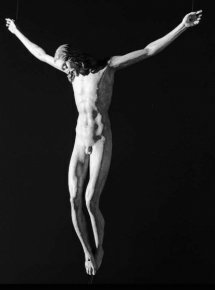 We had pointed out at the beginning of last year (see news item of 4/1/09) the acquisition of a Crucifix in limewood by Michelangelo for the Bargello by the Italian government. Although this work was acknowledged without reservation as being by the Renaissance artist by the Ministry of Cultural Affairs, we had chosen to maintain the term “attributed to” in discussing it. Many specialists have indeed confirmed its authenticity but over the past few months several art historians have expressed serious doubts. We know of course that attributions in sculpture are even more difficult to make than in the case of paintings and, despite the fact that the period in question is absolutely correct the identification of the artist who produced the Crucifix is much more problematic. Thus, specialists such as Tomaso Montanari , Paola Barocchi , Francesco Caglioti  and Margrit Lisner —the latter being responsible for attributing to Michelangelo the Crucifix of Santo Spirito, to which this one is compared—reject totally the notion of its authenticity by the master. The matter has led to much speculation in Italy and has now taken an unexpected turn with officials from the Court of Audit seizing documents concerning the acquisition at the offices of the Ministry of Cultural Affairs . The institution is investigating the attribution, but more particularly the price paid by the government for its acquisition. It is true that the 3.250 million euros spent does not seem reasonable : much too expensive for an anonymous work but too low for an authentic work by Michelangelo. However, the price would be right if the sculpture was indeed found to be by Jacopo Sansovino as suggested by Margrit Lisner.